Possible Reasons for your Pet's Stomach to get UPSET! Just like humans, pets can have a lot of health issues. The biggest problem is that your pets cannot speak and tell you their problem. You would have to note down the signs and symptoms for their ill health and draw a possible outcome. This is just the case when the stomach of your pet is upset. Is your pet vomiting too much? Does he suffer too much from this problem? If the answer is yes, then you would have to look for the possible reasons for it. In any case you fail to do so, contact your vet immediately. They might have eaten something which they shouldn’t. Some of these things include chewed sticks or some other chewing material. Also, eating plants is considered to be toxic in some. Are you providing too much treats in your dog’s diet? It is good at times, since it helps them to clean their teeth. The problem arises when you are giving too many treats, causing your pet’s stomach to get upset. There are a lot of bacteria and parasites out there which can cause your pet’s stomach to be upset. Try to keep the area around your home clean as you don’t want the pet to get sick. One possible reason might be that the pet is suffering from gastritis. This can cause inflammation in the intestines, often leading to an upset stomach. This will eventually make your pet upset throughout the whole day. A blockage to the intestine of the stomach can be very painful for your pet and its stomach. This kind of intestine obstruction can be small or large leading to your dog not eating at all. There are times when your dog has not eaten anything from outside, but still gets his stomach upset. Some pets have very sensitive stomachs and a diet change may lead to this problem. Don’t just, all of a sudden, change the diet of your pet as they might find it hard to digest, resulting in stomach pain. A pet can get its stomach upset due to any of the above factors. However, one should not ignore the situation and try to free him from the pain at the earliest. FastingFasting is a very good remedy to relieve the stomach pain. Restricting food items for some time can help it to recover well through natural process of resting and fighting off. Water intakeMake sure your pet is not dehydrated after vomiting, this can result in loss of water and add to the stomach pain. Consult a VetWhen you can’t manage on your own, it is highly recommended that you consult a vet as soon as possible to avoid any further problems. 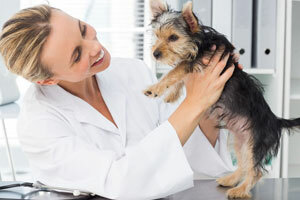 For any kind of pet health care solution, pet owners can rely on our experienced vets.